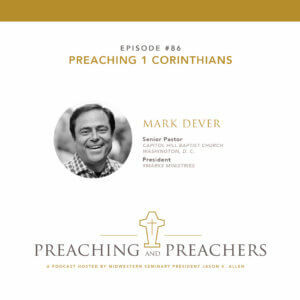 This week on Preaching and Preachers, Mark Dever joins me in a discussion on preaching 1 Corinthians. Mark serves as the senior pastor of Capitol Hill Baptist Church in Washington, DC. He is also the president of 9Marks Ministries.